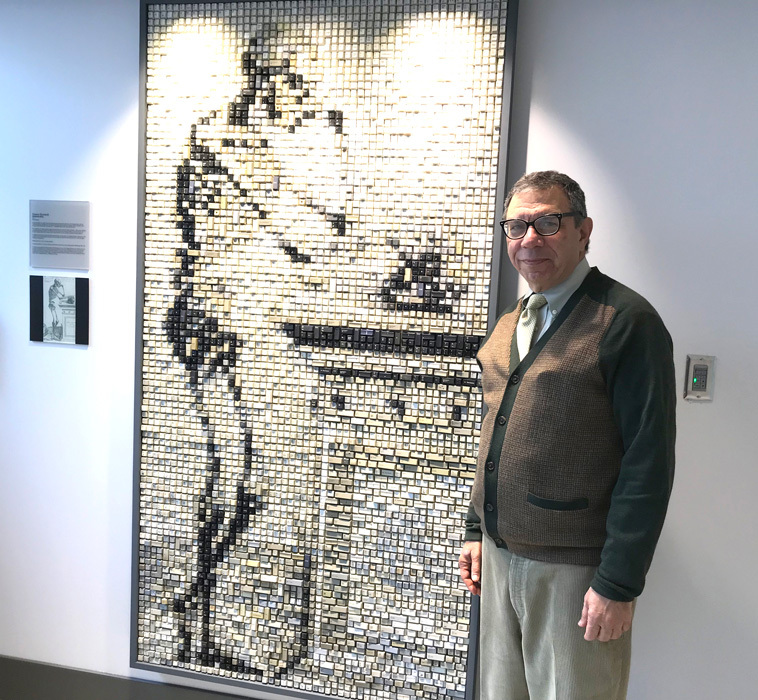 Dr. Barohn stands next to a work of art he commissioned called “Skeleton Key” by Jeremy Rockwell. Driving in the Crossroads Arts District three years ago, Dr. Richard Barohn saw something in the window of Weinberger Fine Art that piqued his interest — a large black-and-white painting of his science hero, Charles Darwin. At least he thought it was a painting. On closer inspection, the avid art collector and vice chancellor of research for the University of Kansas Medical Center saw the truth. The painting was more of a sculpture. 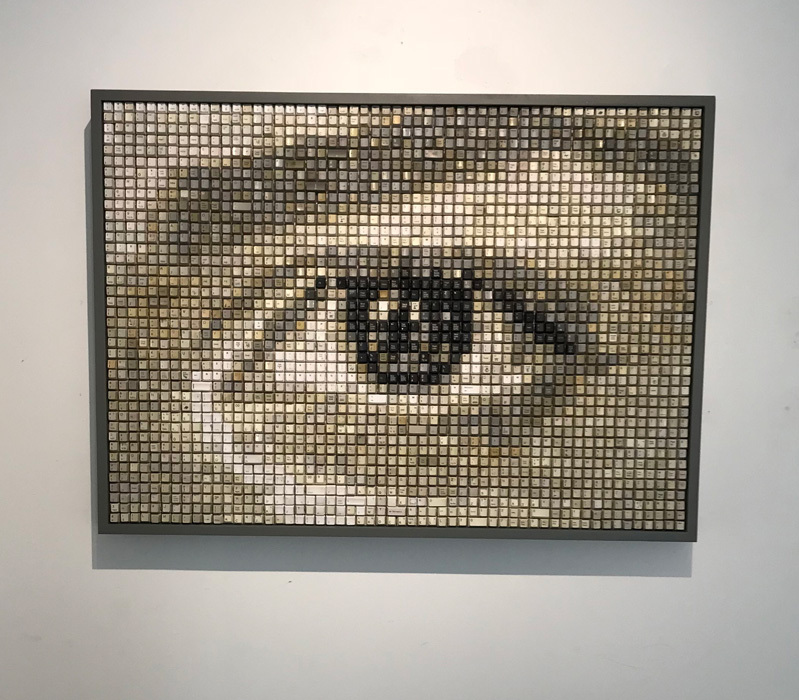 Mixed-media artist Jeremy Rockwell (www.jeremyrockwell.gallery) took months to make the mosaic out of hundreds of old computer keys. Barohn had to have it. The good doctor isn’t Rockwell’s only fan. Gallery owner Kim Weinberger, who represents Rockwell, sold another of the artist’s mosaics to one of the curators at the Met in New York. Barohn, who also is the medical center’s former chair of neurology, hung the Darwin in his office. Three years later, after being appointed to the hospital’s art committee, he returned to Rockwell, commissioning him to make another mosaic. Barohn and Rockwell settled on an idea: the artist would create a mosaic based on a drawing of a skeleton in a 1543 book by Belgian physician Andreas Vesalius, widely considered the founder of modern anatomy. The portrait, “Skeleton Key,” just fits, said Rockwell. The skeleton invokes anatomy, while the hospital has Vesalius’ book in its collection. 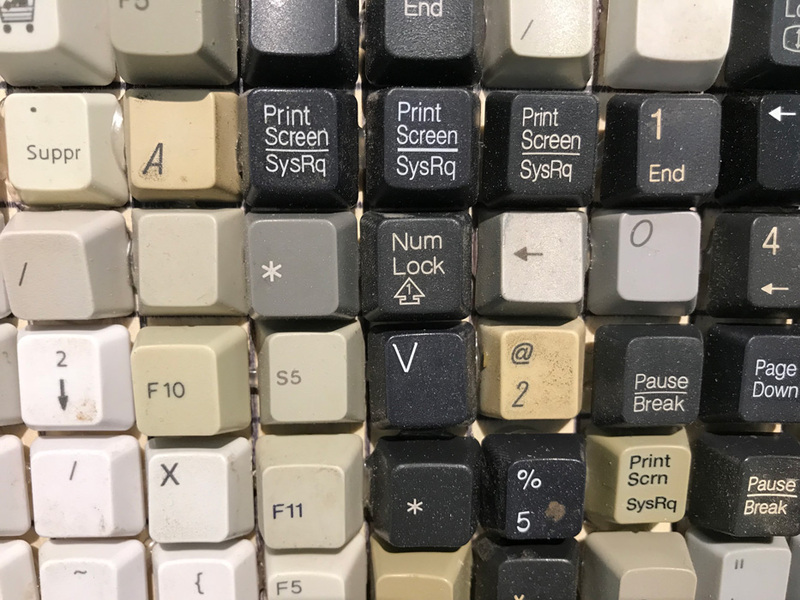 In other ways, the uncleaned computer keys are hard like bone, still have DNA on them from past users, and sync well with computer technology increasingly used in modern medicine. The six-foot creation, which weighs 50 pounds, hangs at the end of a long corridor in the hospital’s Heath Education Building. Barohn, 62, knows good art. He has filled his Plaza condo with paintings and lithographs, and turned a Fairway research office into a makeshift art gallery. Favorite artists include Vincent Valdez, who painted young people in the San Antonio barrio, and Roger Shimomura, a nationally known artist and retired professor from the University of Kansas. And so are Rockwell’s,” he said. Barohn loves how the computer keys bridge past and present. Previous Post Take a Minute to Read This... Your Family's Future Harmony Could Depend on It! Next Post You Are the CEO for Your Family. Who is Your CFO?